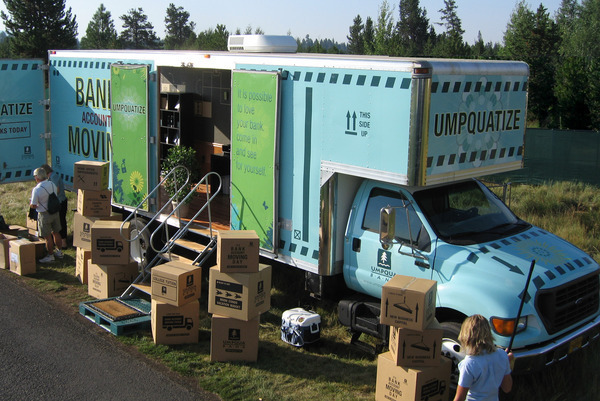 UMPQUA BANK ACCOUNT MOVING CO.
Umpqua is a local bank that truly is a member of the community. When people in the community realized they wanted a bank that actually cared about them, we did what any friend would do—helped them move. We created a free metaphorical and literal bank account moving service. People could move their accounts on the spot in our "account moving trucks”. Of course whenever you help someone move, you received the obligatory moving bro-deal: free pizza and beer, from a local restaurant.